The best way to learn how to use The Electric Brewery is to walk through a typical brew day, so let's brew something! We'll make a simple 5% ABV Blonde Ale, enough to fill two 5-gallon Corney kegs. This beer is one of our house favourites. It's a big hit with everyone who tries it as there's enough malt and hop flavour to keep the beer snobs happy (we don't use any corn or rice), but it's still light enough to not scare away the Bud/Miller/Coors drinkers. It's a beer that just about anyone who likes beer can enjoy. 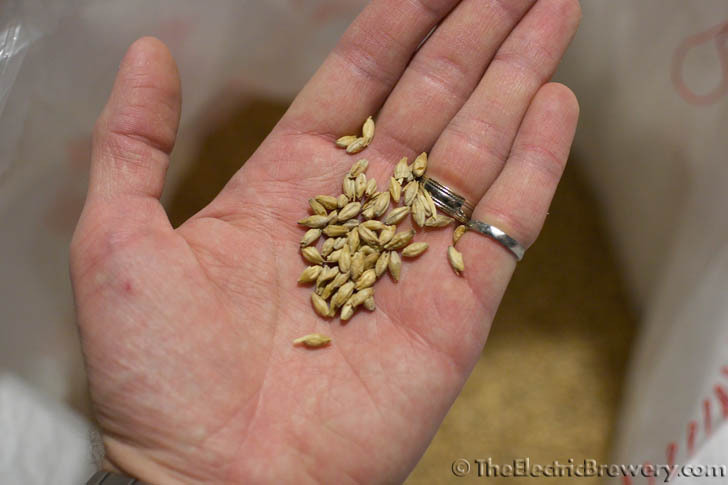 It's a very simple recipe with one type of malt and one type of hop. Far too many brewers tend to over-complicate recipes. Sometimes simpler is better! 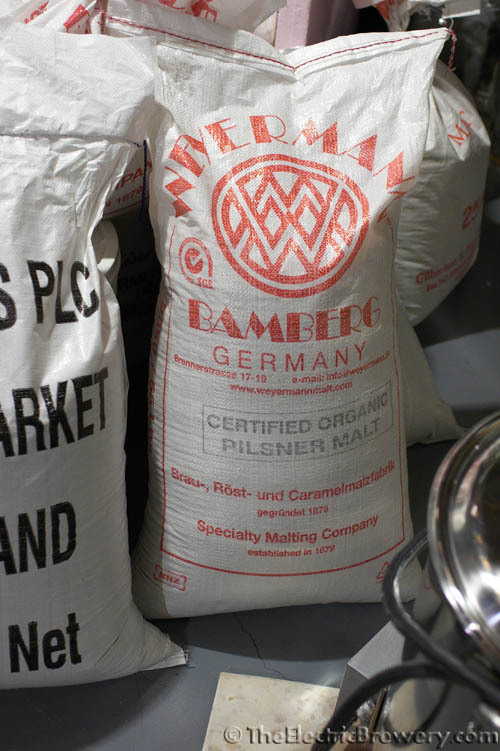 The trick is choosing good quality fresh ingredients such as the German Weyermann Pilsner Malt and Hallertau noble hops that we use here. (Hit minimums on Ca and Mg, keep Na very low, and keep the Cl and SO4 values low and balanced). 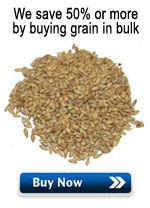 Use 1.5 quarts of water per pound of grain for mash thickness. Mash at 149F for 90 minutes (single infusion mash). Raise mash to 168F (mash-out). Rinse grain slowly for 60-90 minutes collecting 14.9 gallons (fly sparge). Boil for 90 minutes adding hops and clarifier per schedule. Final volume is 12 gallons. Chill to 68F. Aerate well. Add yeast. You'll need to use 4 packs/vials or make an appropriate starter. 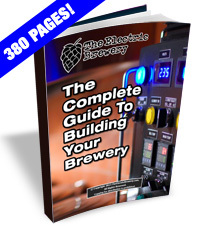 For more information see Chapter 6 of How to Brew and Appendix A of Brewing Classic Styles. The Premium Lager will be very similar but will not have the slightly fruity/estery notes typical of most ales. Lagers tend to be cleaner tasting with less yeast-derived character. Curious about the differences? Split the batch of beer and ferment half as a lager at 50F, and half as an ale at 68F. Don't be concerned if some of the above is confusing at this time. We will be explaining each item as we proceed through the steps. Want to brew something different instead? See our recipes. Different beers will have different losses too: The hoppier the beer, the more you'll tend to lose as hops soak up wort. Our beer here with less than 3 oz of hops will not lose much. Make an aggressively-hopped IPA like Pliny the Elder or Electric Hop Candy (some of our favourites), and you could easily lose half a gallon simply to hop absorption. Many hoppy beers are also dry hopped (hops are added after fermentation is complete) which also soaks up additional beer. Most recipes you'll find online and in books always talk about making 5 gallons of wort which can result in as little as 4 gallons getting into the keg at the end of the process. Who wants a keg that starts off only 80% full? One book that does get this right is our favourite recipe book: Brewing Classic Styles. Their recipes start with 7 gallons pre-boil which typically results in 6 gallons post boil, 5.5 gallons getting into the fermenter, and a final 5 gallons going into the bottles or keg. Making approximately 10-20% more wort ensures that we'll be able to completely fill those two 5-gallon Corney kegs at the end of the process. While it's not hard to scale recipes up or down based on volume size (modifications must be done anyways as different systems and processes all have different efficiencies), it still surprises us that most recipes always talk about producing 5 gallons of wort instead of 5 gallons of beer. The easiest way to modify or create a recipe is to use brewing software. After brewing you enter the original gravity and amount of grain used and the software will then tell you the mash (conversion) efficiency you achieved. This can then be used for subsequent brews so that you know exactly what to expect. If you've built a setup like ours using the exact same parts you can assume an 85-95% mash efficiency to start (we recommend assuming a value at the lower end of this scale for your first brews). Tweak from there as you brew more often and get a feel for your setup. The higher the mash efficiency, the better the system is at converting grain starches to sugars, which means less grain is required. For more information on efficiency, see our FAQ. We've used various brewing software over the years. None of them are perfect, but the one we like and use now is BeerTools Pro. We find it very useful for recipe creation as it has a very in-depth ingredients database (grain, hops, yeast, etc.) and also keeps track of the ingredients we have on hand (inventory management). To create a recipe we simply drag and drop items into place and enter the amounts. 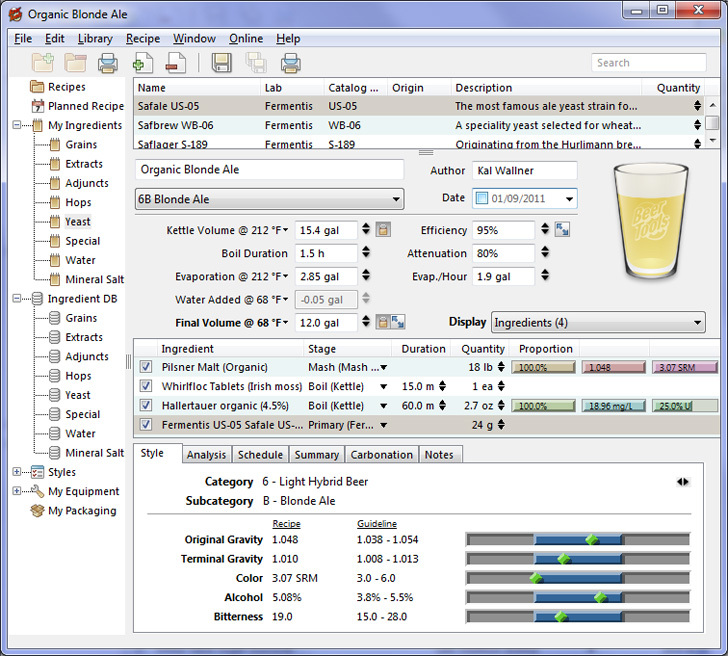 The software continuously calculates the beer gravity, colour, alcohol, and bitterness levels. BeerTools Pro also allows you to select a beer 'style' (per the BJCP style guidelines) so that you can quickly assess where your recipe falls within these guidelines. Brewing software will often include fields where specifications about your brewing equipment can be entered. We recommend that these not be used. This guided step by step will provide you with everything you need to brew from start to end. Some notes on sampling: A good chef always samples when preparing a recipe for the first time, from the fresh ingredients to the finished product. This helps them better monitor and understand how the food is changing throughout the cooking process. Making beer is no different. You should be tasting and smelling throughout the process. Take a few raw grains and chew on them when you create recipes. What do they taste like? Bread? Caramel? Burnt? Rub some hops between your fingers (don't taste them!). How do they smell? Floral? Citrusy? Earthy? Taste the wort during the various steps while you brew. Is it starchy? Sweet? Astringent? Taste the beer during the various stages of fermentation and aging. Note how it changes over time. Our senses are an important tool that should be used when brewing beer. Don't only rely on the numbers provided by your brewing equipment. Numbers only tell part of the story. Keep in mind as well that everyone approaches brewing slightly differently. There are many 'right' ways to make beer. The instructions that follow are how we use our Electric Brewery. Use these as a starting point and tailor as needed. The system is flexible enough to meet the needs of just about every brewer, from beginner to seasoned professional. We will be using many additional parts and tools during our brew day. For a complete list, including why we chose them and where to get them, refer to our Using Your Brewery 'Parts List' article. If you wish to have 100% control of your beer you'll want to adjust your water as well. For complete details refer to our Water Adjustments guide. Before using your control panel and temperature probes for the first time, ensure that they have been calibrated together and that you have performed auto-tuning on your brewing setup. Weyermann Organic Pilsner Malt ready to be turned into beer.